How to recover deleted files from memory card in Windows 10/8/7? Position : Tips - How to recover deleted files from memory card? Accidentally deleted important files from memory card? Are you looking for a way to recover deleted picture, music, video and documents from memory card, SD card, CF card, TF card, etc.? Here is a step-by-step guide that easily recovers deleted or lost files from various memory cards. Memory card is one of the most popular external storage devices, and it is used to provide large storage space for Smartphones, digital camera, camcorders, video recorders, mp3, mp4, e-book, etc. Users can store all kinds of data on a memory card such as audio, photos, video, document, apps, emails and so on. The main reason why memory card is so popular among users is that it is very small in size but large in capacity, thus you can carry it to anywhere you want. Besides, there are many kinds of memory cards available in the market to meet different requirements of digital devices, for example, SD card, SDHC card, SDXC, Micro SD, Micro SDHC, compact flash, memory stick, MMC card, etc. "What is the easiest and best method to restore deleted images and videos from an SD card which is used on my digital camera? I pressed the Delete button by mistake and all of a sudden everything on the memory card gets deleted! I have no idea whether they can be recovered and how to recover them. Any information or solution will be appreciated. BTW, the SD card is formatted as exFAT file system by the camera. Thank you very much!" "What I did was stupid! I accidentally deleted my pictures from micro SD, for I thought all files had been copied to my laptop. Unfortunately, there is not such as backup on my computer. I found two free recovery programs which only recovered part of my photos. There are still nearly 200 pictures that haven't been found! 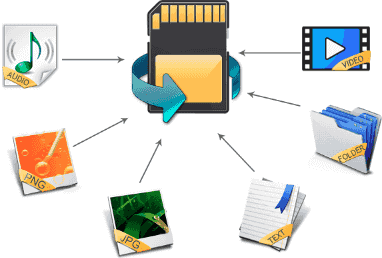 Do you have any better solutions on recovering deleted files SD card?" Causes of memory card data loss can be many and here we list the most common scenarios accounting for data loss issue on memory cards. Accidentally deleting files and folders from memory card. You may delete files either on digital device or on computer. The chances of restoring deleted files are very high as long as no data overwriting occurs. Formatting memory card and there is no backup available. Formatting removes all data from storage device.Both digital device and computer are able to format memory card. Users may format memory card on purpose or by mistake. Remove memory card from digital device or computer while it is accessing data. This is not recommended by IT pros, but many users still use memory card in this way. Memory card is logically corrupted. You may get error message like "You need to format the disk in drive before you can use it" or "The file or directory is corrupted and unreadable". Error occurs during transferring data. It happens that error occurs during Cut & Paste process, after which you cannot find files either on memory card or computer hard drive. Physical damage on memory card. If your memory card cannot be recognized by PC or digital device, it is physically damaged and you should contact IT pros to help you recover data. Virus infection. Virus or malware always damages or deletes files secretly. What's worse, in some cases files deleted by virus cannot be recovered. Memory card recovery should be performed as soon as possible since you realize data loss issue. Fortunately, the recovery process won't be that complicated as you've imaged. In this tutorial you can find a very easy solution to undelete files from memory cards. Oftentimes deleted photos and other data can be recovered from memory card, but that's not always the case. There are a few things you should pay attention in order to increase chances of recovering deleted data successfully. Before starting to recovering deleted or lost files from memory card, you should keep following points in mind. Do not store new data on memory card. Stop using the card as soon as you realized data loss issue occurs. If the memory card is placed in cellphone, stop taking any photos, and do not save any other files on the card, either. Turn off the digital camera or smartphone and remove the memory card out of the device immediately, for there is a chance that lost files on the card might be overwritten if it is still used. Put the memory card in a safe please. Make sure the memory card won't get any physical damage. Do not format the memory card even though it asks to format it when file system gets corrupted. Do not try commands such as CHKDSK on the memory card. Some guides online suggests such commands to fix bad sectors and other errors, whereas file directory may be damaged during the repairing process. Do not use any defragmentation tools to defrag your memory card, as that may also erase data and affect recovery result. All these suggestions aim to protecting deleted data against damage and overwriting. You should follow advice above to protect lost data and then you'll have good chance to successfully recover lost files from memory cards. There are many free programs on the market that claim to be able to recover lost data from memory card, but some cannot correctly recover files with original file names and some software has limitation on the amount of data they can recover. Thus, it is recommended to use advanced memory card recovery software which has guarantee whether your files can be recovered intact. This time you can use Eassos PartitionGuru Pro to perform the memory card recovery. It supports recovering lost, deleted or formatted photos, videos, music, apps, documents and so on from all kinds of memory cards. As long as the memory card can be recognized, it is able to perform a deep and read-only scanning to look for lost data. It is compatible various memory cards, including SD card, CF card, memory stick, Multi Media Card, XD card, micro SD, mini SD and so forth. The built-in algorithm also can search for specific file types when file directory is damaged. This pro version provides a trial version which works the same when searching for lost data, thus users can test whether the program works on their issue before deciding to purchase it. Step 1 Connect memory card to computer. To recover deleted photos or files from memory card, the card should be connected to computer and make sure it can be recognized by Windows. The memory card can be connected via a card reader. If your SD card is not showing up in Windows, the recovery software cannot scan it for lost data. Step 2 Install and launch Eassos PartitionGuru Profrom your computer. You can get the latest free trial version from the download center, and then follow the installer wizard to install it to your computer. Do NOT install the software to the memory card in case of data overwriting. Step 3 Right-click on the memory card where you want to recover deleted files and select "Recover Lost Files" from context menu. Step 4 Select recovery mode and click Start button. "Recover Deleted Files" option should be selected if you want to get back deleted files from the selected device; the option Complete Recovery executes a full scanning on the memory card; besides the "Search for Known File Types" is used to carry out a deep scan, which should be selected if you want to find out as many file as possible. Step 5 Preview scanning result. You can preview displayed files during or after scanning process. Click a file and the thumbnail will be displayed in the lower part, and double-clicking will open the file to view data content of original size. Step 6 Restore deleted files from memory card. Select files you want to recover from scanning result and right-click them to click "Copy To" from context menu. Then the software will prompt to select a destination to save these files. Although memory card recovery is an easy task to both average users and experts, there is not a guarantee that deleted files can be recovered in all cases. For instances, no one can restore deleted files which have been overwritten. Therefore, it is necessary to learn how to prevent data loss issue so that we can protect files safely. Choose reliable memory cards. Do not buy cheap memory cards made by unknown manufacturers. Memory cards of poor quality tend to develop issue and bring about data loss problem. Back up files stored on memory card in time. When you take new photos or videos, you'd better transfer files to your computer or online storage as a backup. Make it a habit to keep more than one backup copies. Change new memory cards after certain period of time. Memory card does have lifespan and it will be worn out after long time usage, that's because memory chip has limitation on read and write times. Format memory card to proper file system type. File system type is chosen based on capacity and digital device's requirement. 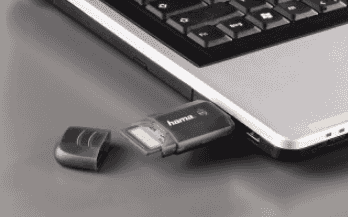 You can format the memory card in the device or Windows after all files have been backed up. Safely remove memory card instead of unplug it directly. Do not remove memory card when it is accessing data, or partition may get corrupted or turn to RAW. Do not delete files in a rash. Accidental deletion of important files is one of the major causes of memory card data loss, and you should think twice before deleting any data. Memory card plays an important part in providing extra storage space and users like to store all kinds of files on it. But files also get lost due to deletion, formatting, corruption, virus infection, etc. If you encounter memory card data loss issue, you should perform recovery as soon as possible. 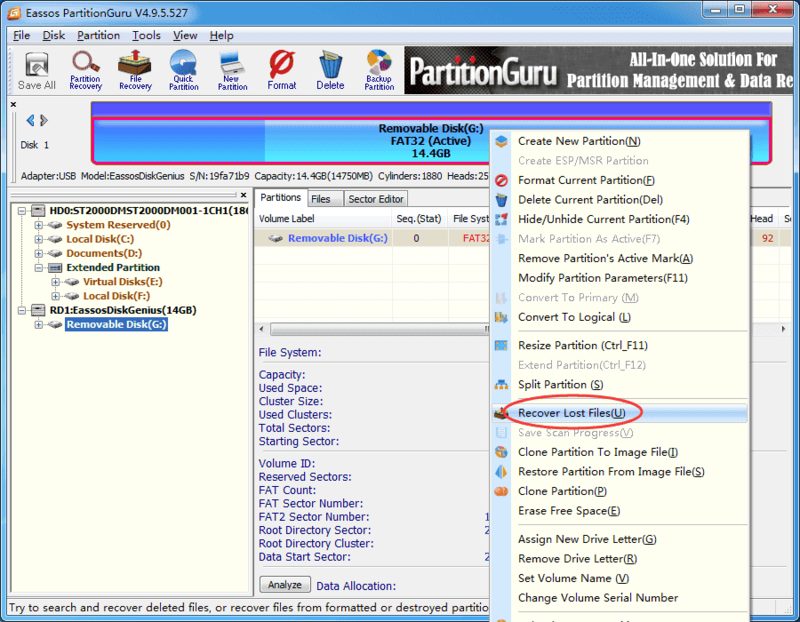 You can use the trial version of Eassos PartitionGuru to search for lost files and get back deleted data. Hopefully, these steps and tips discussed above can help you recover lost files from memory cards. For any query, please feel free to comment or contact our customer via support email.